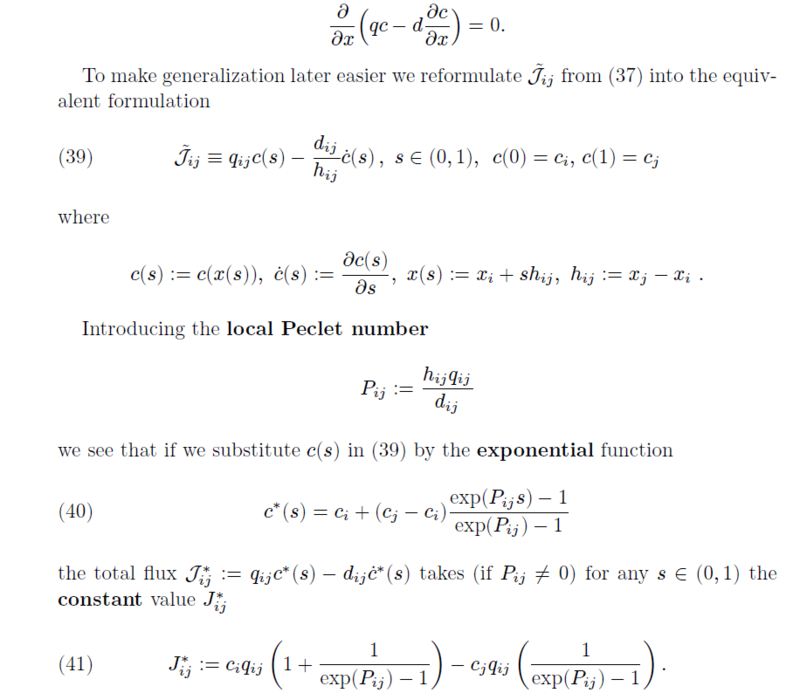 Numerical integration of Fokker-Planck equation allowing for negative drift? the functions $A(x), B(x,t)$ and $C(x,t)$ are positive. For some problems, however, such as the Fokker-Planck equation describing Brownian motion of a particle inside a potential, $B(x,t)$ may not be a positive function. Is there a method that exists for integrating the FPE that allows for a negative $B(x,t)$ term? Frolkovic, P. "Maximum principle and local mass balance for numerical solutions of transport equation coupled with variable density flow." Acta Mathematica Universitatis Comenianae 1.68 (1998): 137-157.
that you can find easily on internet. I do not know which paper you use to define the Chang-Cooper method, but I hope you can understand it using my explanation below. An important role is played by so called Peclet number $P$, see above, that can be positive or negative. 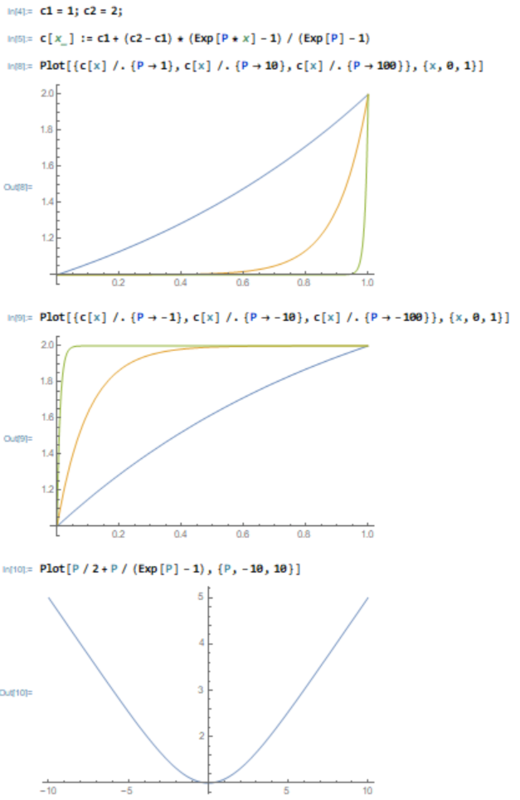 Finally I add screenshots of an output from Mathematica where you see that the exponential interpolation is working for positive and negative values of $q$ (your $B$) for $P=-100,-10,-1,1,10,100$ and where you see a plot of different values of $K$ for different values of Peclet number $P$. Not the answer you're looking for? Browse other questions tagged finite-difference reference-request probability or ask your own question.